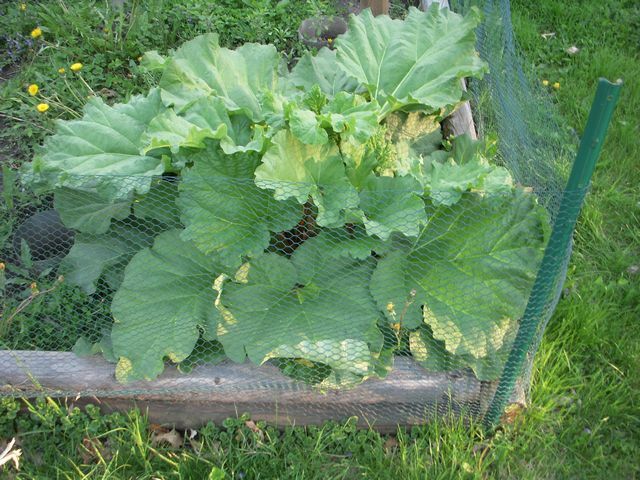 In the front yard the rhubarb in on the north side of the house and is partially blocked from the sun by the front steps to the house. 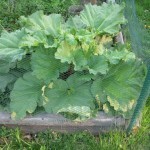 So it only gets about half a days worth of sun. 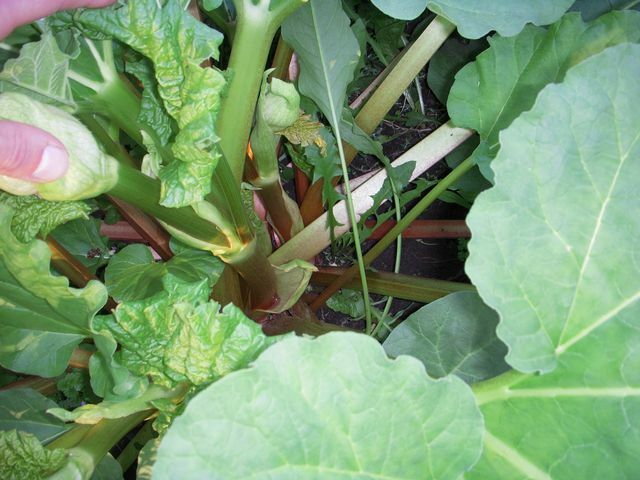 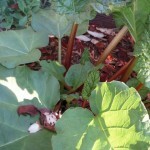 While in the back yard the rhubarb is in a corner of my garden out in the open. 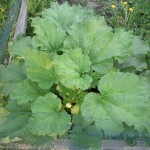 And the garden gets full sun all day long. 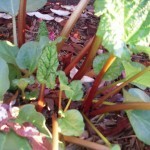 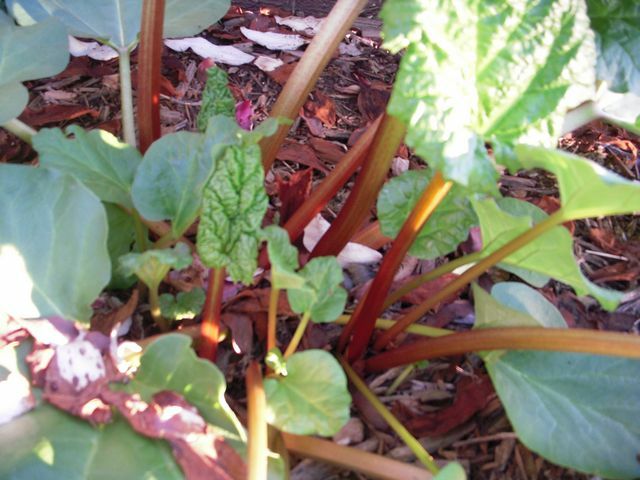 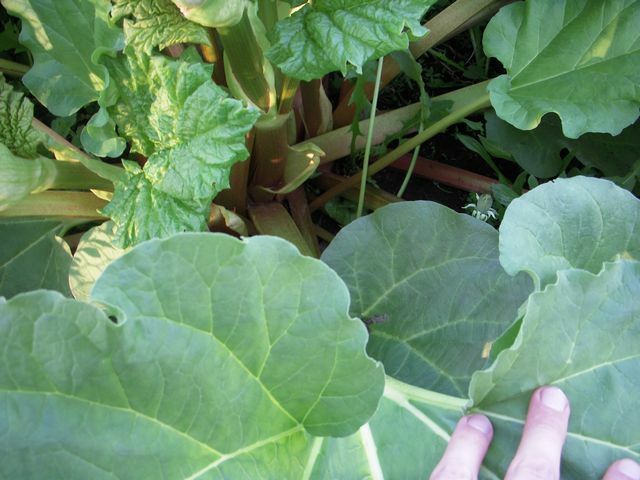 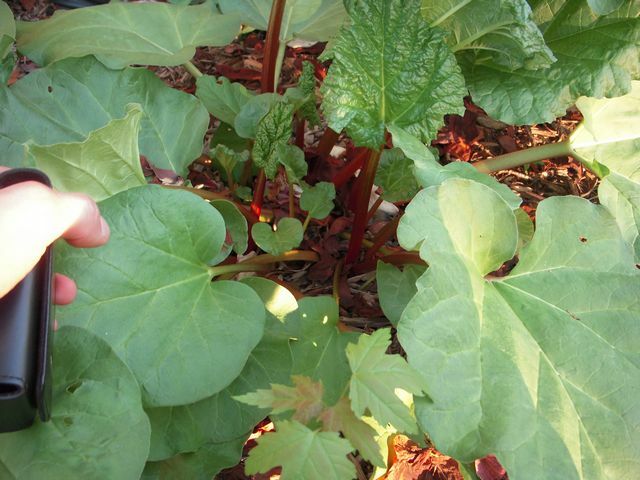 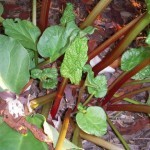 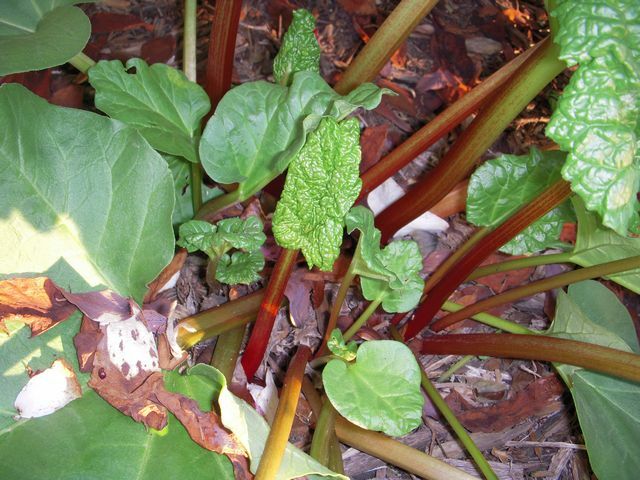 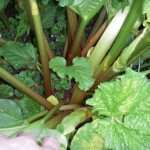 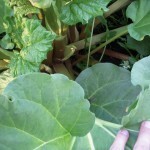 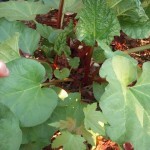 So if you are thinking about planting rhubarb, make sure to plant it in a location that gets full sun all day long. 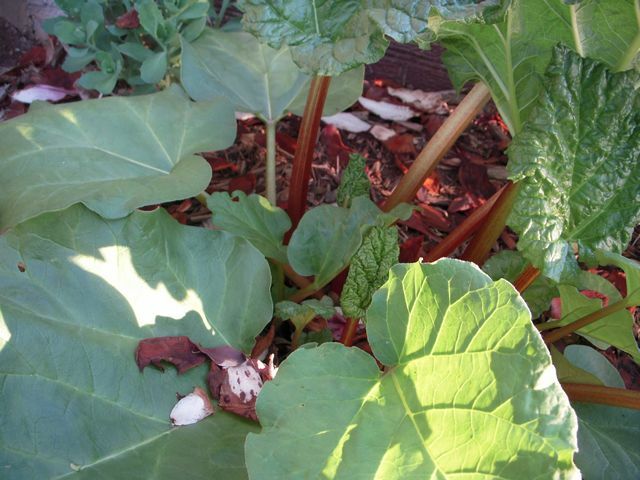 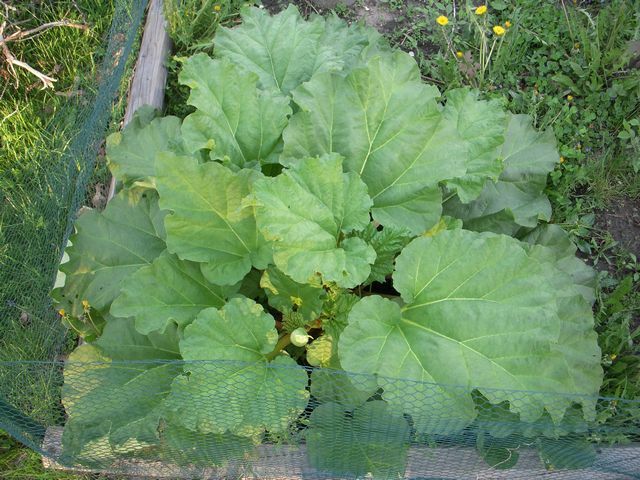 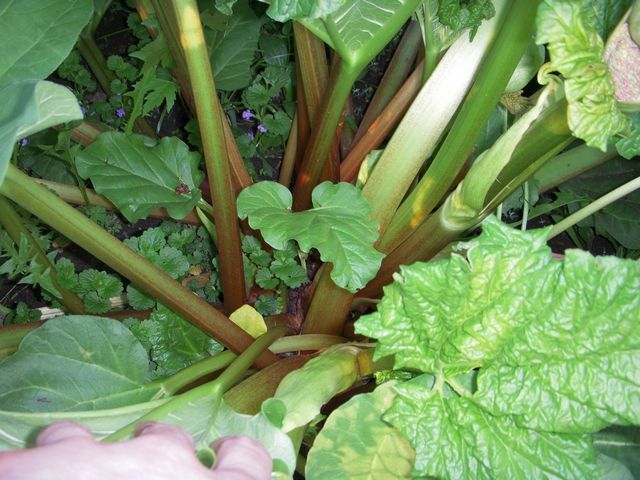 With that I’ll grant a little bit of mercy to the rhubarb in the front yard. 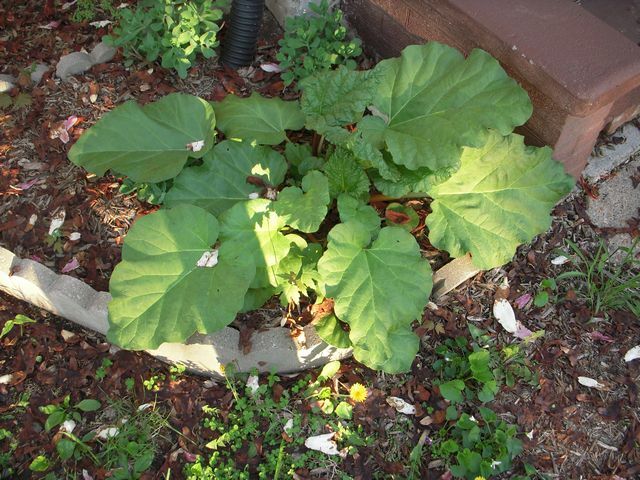 Since the plant is so small, I’ll just dig it up and reunite it with its twin in the backyard. 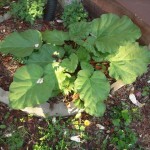 It’s the least that I could do, since it really does deserve a home in the sun. 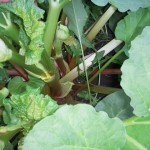 I thought of that the whole time while I was writing the post.